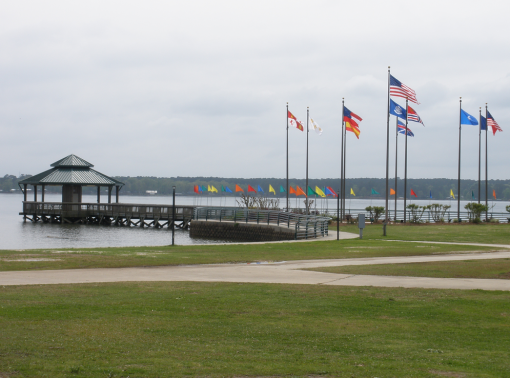 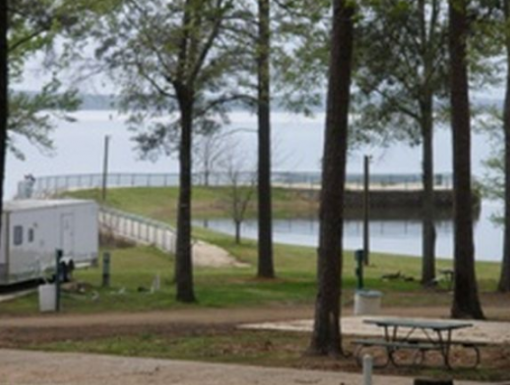 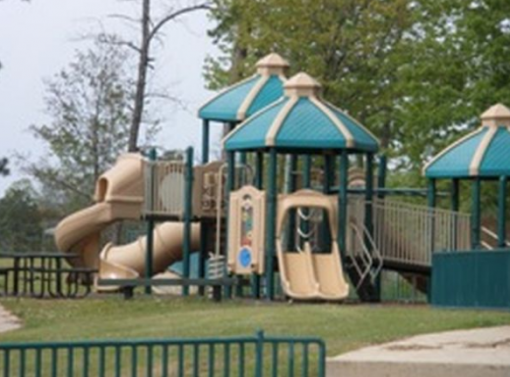 Cypress Bend Park, owned by the the Sabine River Authority (SRA), is located on 114 acres of forested land that includes 1 mile of shoreline, cabins, RV campsites, a recently renovated beach area as well a playground, volleyball court, covered pavilions, picnic tables, 6 lane paved boat ramp, lighted pier and restrooms. 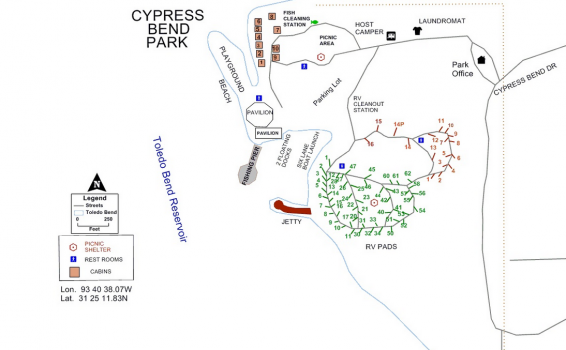 The 60 RV campsites include water and sewer with 50, 30, 20 amp electrical hook-ups. 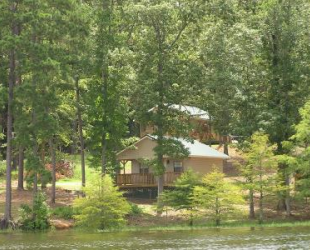 Spots are available by the night or month from July 1st thru February 28th. 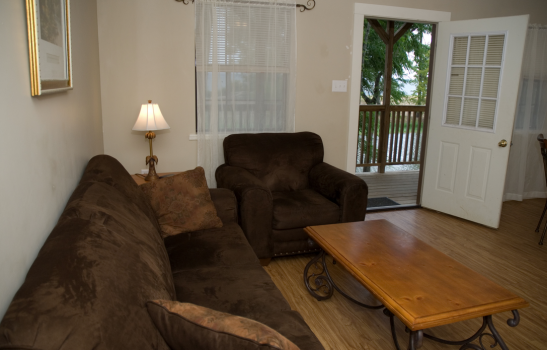 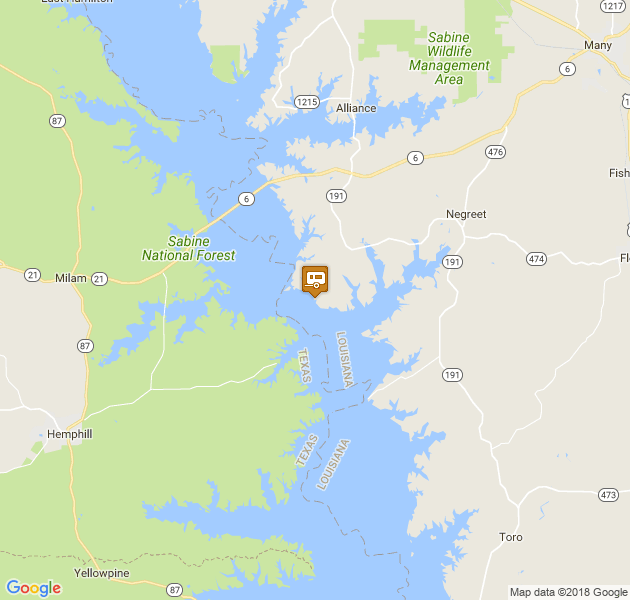 The waterfront cabins are fully furnished and include everything you need such as dishes, cookware, silverware, linens, microwave, coffee pot and satellite TV, air conditioning and heating. 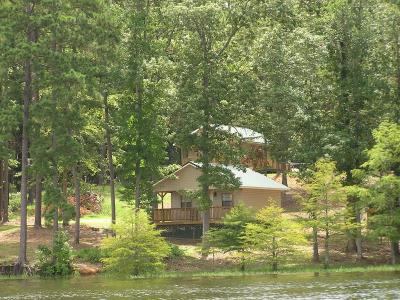 The cabins. 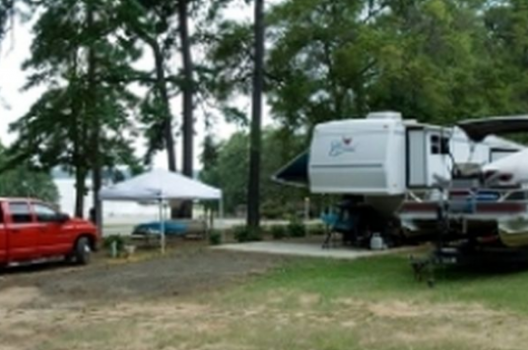 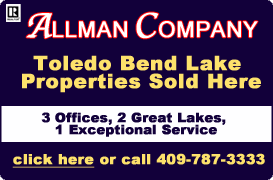 There are also seven RV trailer rentals available, also furnished with dishes, cookware, silverware and a coffee pot.